In 1997 Steve and Debbie Belfield acquired their business from Steve’s father Charlie Belfield. Growing up in the business Steve learned the value of providing customers with the type of workmanship that he would be proud to represent. Steve and Debbie both realize that listening to their customers and providing them with the quality products and workmanship that they require is the main goal of Rainguard. Along with installing siding, windows, soffits, and gutters, Rainguard also has an insulation division designed to provide their customers with energy savings for their homes. For several years, Rainguard has been involved with Commercial installations that take them throughout the state of Illinois. Their commercial installers are union and Rainguard offers a wide variety products and services to the client. Commercial projects require a lot of coordination and supervision and Rainguard provides qualified supervisors to achieve the maximum efficiency for each project. Insulation is of major concern today and Rainguard, marketed under the name Energy TECH, has the crews to provide the quality workmanship needed to reduce energy cost. Whether it is cellulose blown into the attic or sidewalls; or 2 part foaming of the crawlspaces and rim joists Energy Tech is certified to do all work necessary. Many hours of classroom training has qualified Energy Tech to be BPI Certified which allows them to presently be one of few qualified contractors to represent the power companies ACT ON ENERGY Program. Throughout the years Rainguard has remained a family owned business. Their philosophy is that any work preformed must be good enough for their house or their business. Their address is 4901 S. Becker Drive, Bartonville, Il 61607. 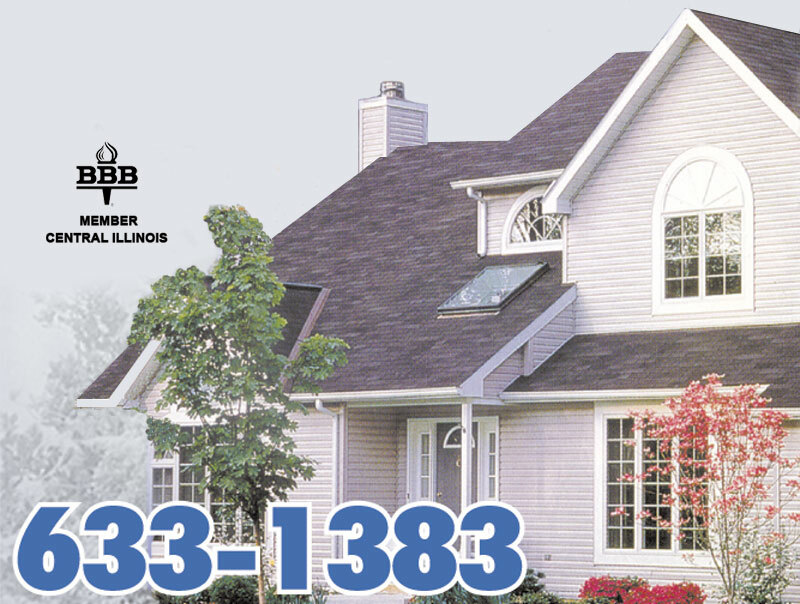 Our phone number is 309-633-1383. Our estimates are free and no hassle.